A junior high in Kashiwa, Chiba Prefecture is allowing students to mix and match uniforms how they please in an effort to be more aware of LGBTQ students’ feelings. Considering how some teens pick schools on whether they like the uniforms or not and many students dig the getups, wearing the academic threads is less an issue. Students want to wear uniforms. 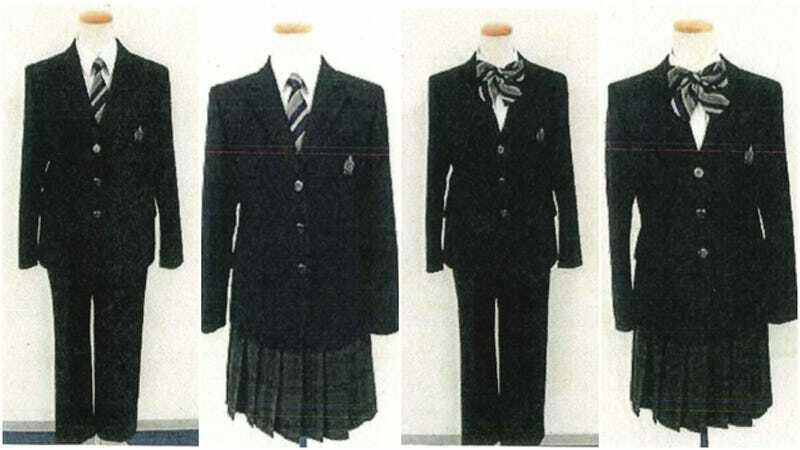 What is the issue are rigid gender definitions Japanese schools typically have regarding how uniforms are assigned and what students are traditionally expected to wear: skirts and ribbons for girls, and ties and slacks for boys. IT Media reports the newly built Kashiwanoha Junior High is trying to create a more inclusive environment and starting this spring, students have the freedom to mix and match and pick which uniforms best suit them, whether that’s a skirt and a ribbon, a skirt and a necktie, slacks and a ribbon, or slacks and a necktie. Anyone can wear whichever they like.